explain the type of data sources used. site, http://www.lib.jmu.edu/org/jwl for Instructions for Authors. October 26, 2012 – (Denver CO) – The open access journal, Collaborative Librarianship, (eISSN: 1943-7528) has published the 3rd issue of Volume 4. Scholarly (peer reviewed) articles cover post cancellation entitlement issues related to the JISC Collections in the United Kingdom, and e-book workflow and access processes at a large academic library. A “From the Field” report discusses data-based analyses of an expanded interlibrary loan system. This issue introduces a new columnist, consultant Lori Ayre with The Galecia Group, who explores library computing and technology issues. 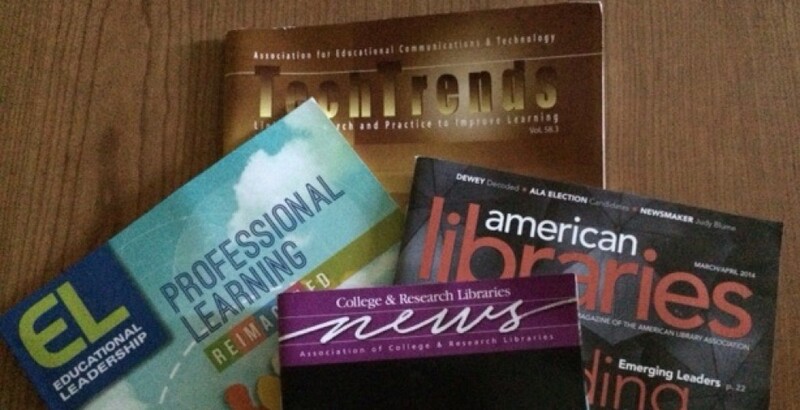 One review covers a new book on international students and academic libraries, and another explores the open access digital resource, “World Digital Library.” Co-General Editor, Valerie Horton, has recently been appointed Director of Minitex, the large library consortium serving the northern Midwest USA. Congratulations to Valerie. She remains Co-General Editor. Collaborative Librarianship: Call for Papers and Reviews – Is your library collaborating with another library in your community? Are you involved in some interesting, innovative or experimental aspect of library collaboration? Is your library exploring or implementing resources or services that build on, promote, or expand the scope of library collaboration? Are you reflecting on the methodology, theory or philosophy of why and how librarians, libraries or library consortia work together? If so, we would like to hear from you! Please consider submitting articles for “peer review” or “From the Field” sections of Collaborative Librarianship. Submissions can be made directly through the CL website. Issues will be published in March, June, September and December each year, and deadlines for submissions are 4 months in advance of publication. Collaborative Librarianship: Call for Participation –– Consider joining the groundswell of support for library collaboration: volunteer to become a peer reviewer for the scholarly, open access, online journal, Collaborative Librarianship. All related subject/interest areas are welcomed. To register as a peer reviewer, please go to the home page, click “Register” tab, and provide the information requested. (Email address and other information given are strictly confidential and for use only by Collaborative Librarianship.) You can also contact directly the Co-General Editors, Ivan Gaetz: ivan.gaetz@coloradocollege.edu or Valerie Horton: valeriemarzec@hotmail.com. Collaborative Librarianship: Statistics: by the end of October, 2012 the total number of views/downloads for the journal topped 200,000. Participate in the conversation. Join the over 684 Facebook “fans” of Collaborative Librarianship (http://www.facebook.com/CollaborativeLibrarianship), and follow CL on Twitter at https://twitter.com/#!/collab_lib . Paul G. Zurkowski is the originator of the term “information literacy“. He first used this term in 1974 in a proposal to the US National Commission on Libraries and Information Science. At the time he coined the term he was president of the Information Industry Association. His vision for information literacy skill development is not library centric, but advocates for a universal approach in its delivery across all trades, occupations and professions. Zurkowski views information literacy skills as a critical stepping stone in the creation of wealth, a key element for national economic development. Dr Christine Bruce is Professor in the Information Systems School, Science and Engineering Faculty, QUT, Australia. She has an extensive research and publication profile in information literacy and higher education teaching and learning. Dr. Bruce has a special focus on information literacy and learning. She regularly facilitates workshops and delivers speeches on information literacy. In 2010 Dr. Bruce received the Library Board of Queensland Award for her contributions to information literacy research and education. If you wish to receive updates on ECIL 2013 you can follow us on Twitter and Facebook. The Association of College and Research Libraries, New England Chapter (acrlnec.org/) invites you to submit a proposal to present at our 2013 Annual Conference. This event entitled “Communities in the Cloud, the Commons, and the College” will be held Friday, May 10, 2013 at the College of the Holy Cross in Worcester, Massachusetts. Whether you call it engagement, outreach, or ‘adding value,’ academic libraries connect with their users in meaningful ways that build community. They create collections, services, and spaces that bring people together and encourage creative inquiry, discourse, and collaboration. At their best, academic libraries are sites for developing the shared sense of purpose and place that is at the heart of academic life. Collaborative collection building with faculty and students, embedded librarianship, support for research and collaboration, first-year experience programs, and development of the academic commons are just a few ways that librarians connect users with the library and with one another. How does your library build community? We are seeking innovative thinkers and doers to offer presentations, panel discussions, interactive sessions, posters, and “show-and-tell” booths to share creative ideas and initiatives on how our libraries can build communities in higher education. The deadline for proposal submission is midnight on Friday, November 30, 2012. Questions should be directed to Karin Heffernan (kheffernan@nec.edu), Lisa Palmer (Lisa.Palmer@umassmed.edu), Alan Witt (awitt@rivier.edu), or Carol Will (cwill@library.umass.edu). The Nashville LOEX Committee invites 1) graduate students in library and information science programs and 2) library fellows and residents to submit proposals to host a poster session at the 41st Annual LOEX Conference, May 2-4, 2013. More information can be found workshops page of the ICCS 2013 website (http://www.iccs-meeting.org/iccs2013/workshop-list.php) and at the workshop website (http://ccli.ist.unomaha.edu/iccs2013). Submissions pertaining to all levels of instruction, from course modules to entire curricula, and at all levels of interest are welcome. Papers (Postscript/source) must be submitted through the conference’s paper submission system (http://www.iccs-meeting.org/iccs2013/papers) camera-ready and formatted according to the rules of Procedia Computer Science (http://www.iccs-meeting.org/iccs2013/cfp.html). Papers must not exceed ten pages in length when typeset using the Procedia format. Submissions will be peer-reviewed by at least three members of the workshop’s Program Committee; final decisions will be made by the workshop co-chairs. Submission implies the willingness of at least one of the authors to register and present the paper. ICCS is an ERA 2010 A-ranked conference series. L&L needs submissions for our Point/Counterpoint and Readers Respond departments! We are looking for arguments on both sides of the question “Does the U.S. education system support innovation?” Please respond by November 1. Few dispute that we could use a few more innovators like the late Steve Jobs to drive our economies and our imaginations forward. But how do we help today‘s students become tomorrow‘s innovators? Some critics of the U.S. education system claim that it was designed with the needs of an industrial age society in mind and is not well suited to develop the skills necessary for success in the digital age. Others, however, point out that more innovators have come out of the U.S. educational system than any other system in the world. What do you think? Point/Counterpoint essays are relatively informal. For an example of what we’re looking for, check out the September/October Point/Counterpoint. We need one essay of approximately 400 words on each side of this issue, so consider either defending your argument passionately or playing the devil’s advocate, rather than arguing down the middle. If you don’t have time to write an entire essay on this subject but still would like to weigh in, feel free to post a 25- to 50-word response on some aspect of this issue, and we may choose an excerpt to publish in our Feedback from the Field section. Please include your name, job title, city, state or province, and country. And if you don’t have time to write anything but do have an opinion, take part in our Reader’s Poll on this topic on the L&L page of ISTE’s website. To enter, post your essay on the discussion forum titled “Does the U.S. education system support innovation?” on L&L’s group page on the ISTE Community Ning. Please include some form of contact information. If you’re not already a member of the ISTE Community Ning, you will be prompted to register. Don’t worry–it’s fast, easy, and free. It may take a day or so to approve your membership; sorry–we do this to prevent spam. Once you are approved, go to the Groups page and click on the L&L logo to join our group. As a bonus, you can read our regular content, including updates on the magazine and discussion forums about hot ed tech issues. If your Point/Counterpoint essay is selected, we’ll contact you for a high-resolution photo and a short (35-word) bio in addition to your 400-word essay. If you don’t hear from us, keep an eye out for an excerpt from your response in the Readers Respond section of L&L. Thanks in advance for a stimulating discussion! Due to the timing of other RSR issues, our issue is going to be published in May 2013 which means we are able to extend the submissions deadline. For those who have submitted — thank-you and please be patient with our new timeline. For those who were unable to meet the original October deadline, we hope that this extension is good news! Reference Services Review (RSR) is seeking authors to write on the theme of the role of the library in campus-wide retention efforts – Volume 41 Number 2, will be published in May 2013. First drafts of manuscripts will be due by December 3, 2012. Manuscripts are evaluated using a double-blind peer review process. Authors can expect to work on major and /or minor revisions in January 2013. The co-editors for this special issue are: Anne Barnhart and Andrea Stanfield from the University of West Georgia. international team of editorial advisors. Mechanicsburg, PA – The College and Research Division (CRD) of the Pa Library Association (PaLA) launched a scholarly, open access journal. The journal, which was introduced at the PaLA annual conference in Gettysburg on October 1, will share information about the research and practices taking place in Pennsylvania’s academic libraries. The journal, Pennsylvania Libraries: Research & Practice (PaLRaP), will be peer reviewed by members of the Pennsylvania library community and will be freely available online for anyone to read. The first issue will be published in March 2013 and will be available at the journal’s website: www.palrap.org. The journal is now accepting submissions for research, practice, and commentary articles and for news items for the March 2013 issue. Guidelines can be found on the journal website, and the priority submission date for consideration for publication in the upcoming issue is January 15. The journal will initially be published two times per year (March and October) and will provide an opportunity for librarians in Pennsylvania to share their knowledge and experience with practicing librarians across the Commonwealth and beyond. Readers will be exposed to the unique and valuable work of librarians in Pennsylvania that may not be published elsewhere in the library literature. PaLRaP will include research, practice, commentary, and news articles from all areas of librarianship, with a special focus on activities in Pennsylvania’s academic libraries. Open access to the journal will ensure that submissions are distributed widely and freely to all interested readers. When available, audio and video content will supplement text based documents. The scholarly community in the U.S. and beyond is making a move toward open access content so that research is made freely available to everyone. PaLA joins a group of library associations across the country that offer their own scholarly, open access journals; this group includes the Association of College & Research Libraries and the Medical Library Association. This journal is run by a volunteer staff of CRD members, each with two year terms in various journal management positions. The journal is published by the University Library System (ULS), University of Pittsburgh, through its E-Journal Publishing Program. For more information, visit www.palrap.org or contact palrap@mail.pitt.edu.